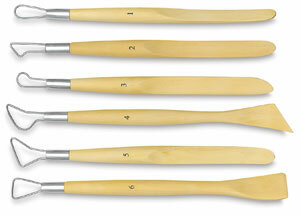 Set of six long, round metal wire-end clay modeling tools with boxwood handles in your choice of round and ribbon sets. Both ends can be used to sculpt and smooth clay. 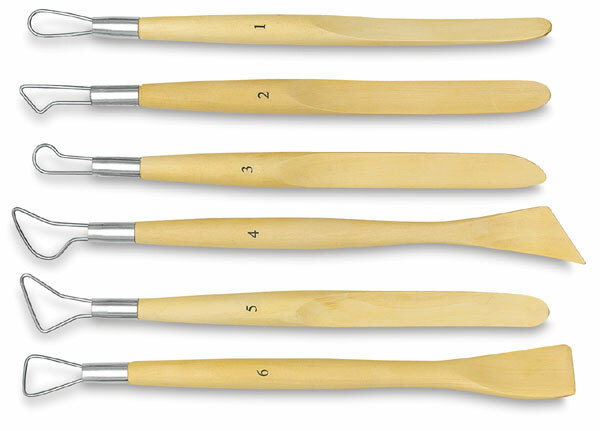 Each tool is approximately 8" in length.